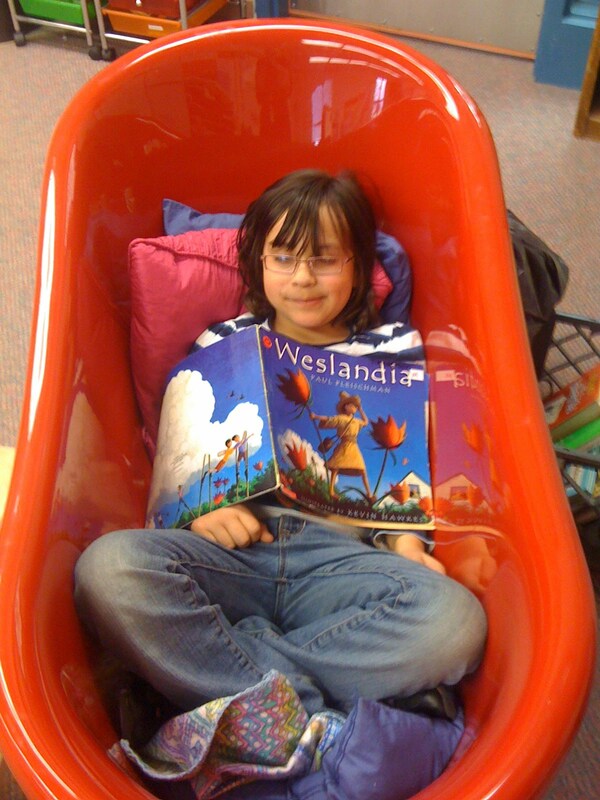 If you have ever been to my classroom, you know that I have a gorgeous, bright red, first grader-sized bathtub. It was quite the find. I used to have a second job (I still don't know how I lived through THREE years of working an additional four hours each night after teaching for six+ hours! But, that's a different post for another day) at Bath and Bodyworks. Every so often, we had to "purge the props" to make room for new props...and, I LOVED that part of the job. Anyway, I had my eye on this tub for several months. I'd hint that I wanted to buy it. I set myself a budget that the most I would ever pay for it would be $100. Like I mentioned earlier, it is a brilliant red tub. The plastic (acrylic?) is about two inches thick. And the best part? It sits on four silver claw feet! I loved it. I mean, really loved it. And I wanted it. When the time came to finally get rid of it, my manager knew how badly I wanted it for my classroom. She told me it was mine...are you ready for this?...for $5.00!! Yes, just a fiver. I was ecstatic! It has been sitting in my classroom ever since. I put a body pillow, another smaller bright pink pillow, my childhood Holly Hobbie doll, and an Arthur doll that speaks when you squeeze his tummy. Also, a couple of years ago, the grandma of one of my students made a little ABC blanket with crocheted edging especially for the tub. So cute. Every week, I pick an aviator. You know, the STAR student. That student not only gets to sit in a special old fashioned desk, but can read in the tub and even do their math pages if they choose. This bathtub is BIG TIME for the children. And, I suppose for ME as well. 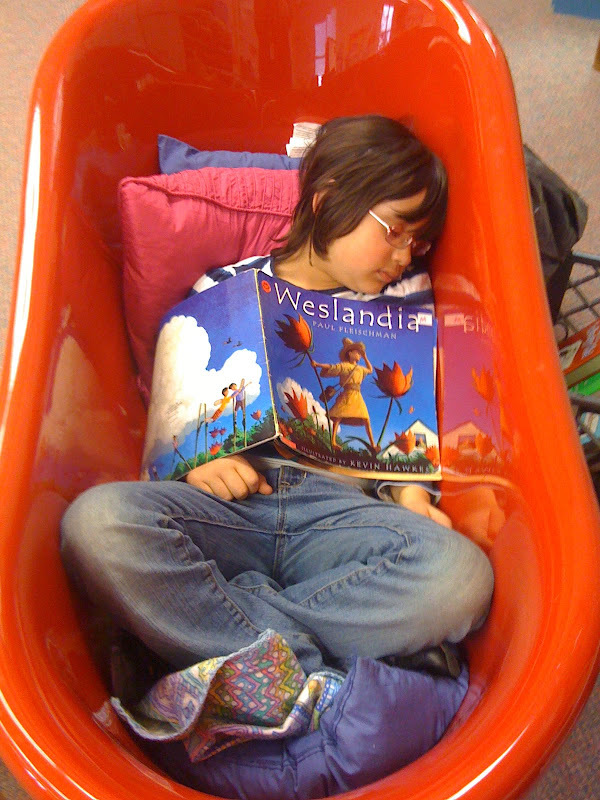 "Wake me up when the bell rings!" Is it possible? Is she really asleep???????? Can you be my teacher? Please?